Aside from the fact that the Spanish La Liga 2014/15 season schedule has been announced, and suspiciously set up in a way that Barcelona visit Real Madrid the day after Luis Suarez's FIFA biting ban expires, the news of the day most definitely is Pepe's new haircut. While on a U.S. tour with Real Madrid, participating in the International Champions Cup, Pepe found a moment to post a photo of his new do on Twitter. 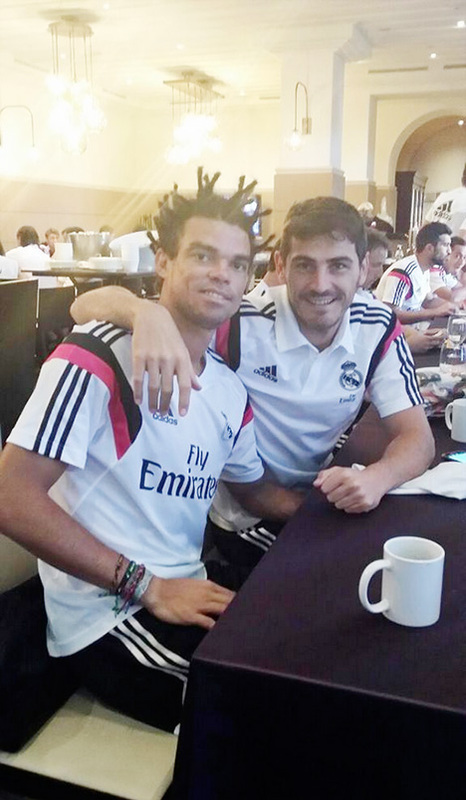 What do you make of Pepe's new Coolio style?